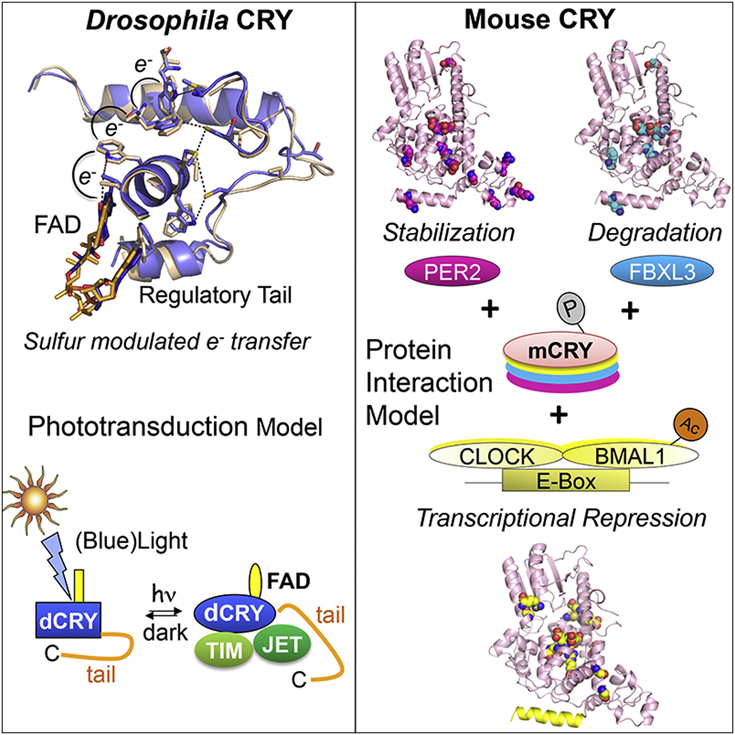 Our research is focused on the structural and biochemical characterisation of clock proteins, which are involved in the generation and light synchronization of 24h day-night activity cycles, also referred to as circadian rhythms. We use a combination of X-ray crystallography with complementary biochemical and biophysical methods (e.g. size exclusion chromatography, pull down assays, circular dichroism, absorption- and fluorescence spectroscopy, light scattering, isothermal titration calorimetry, surface-plasmon resonance, yeast two-hybrid assays) to study the molecular mechanisms underlying circadian regulation.